SoftPLC products are used by thousands of companies in a wide variety of industries throughout the world. This page lists just a sampling of some customers that use our products. SoftPLC PAC's (Programmable Automation Controllers) have been used in thousands of applications worldwide from simple PLC or RTU applications, up through sophisticated plant-level controls. More and more companies are discovering the tremendous advantages of SoftPLC over proprietary PLC/PAC controls, as well as over PC-based control systems that rely on problematic Windows operating systems. SoftPLC's approach to open architecture control has enabled it to be installed in harsh conditions for even the most challenging applications including those requiring speed, lots of communications, and/or 24/7/365 reliability. This page describes only a few of the applications that have used SoftPLC PAC's. 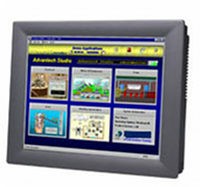 SoftPLC Web Studio has been used in thousands of SCADA and HMI applications worldwide in a wide range of industries. From small hand-held mobile HMI's to plant-based SCADA up to enterprise-wide redundant database MES systems, Web Studio products provide a reliable, affordable platform. This page describes only a few of the applications using SoftPLC Web Studio products. SoftPLC's communication products include protocol converters/gateways, data concentrators, remote data loggers, TagWell Remote Asset Management platform, industrial firewalls, remote access modems and more. This page describes only a few of the applications that have used SoftPLC Gateways, Smart Netbox, TagWell, Gatecraft and other industrial networking products.